It’s been an interesting week in health care…at both the macro and micro levels. The Affordable Care Act (ACA) began its rollout across the country on Tuesday. It is an ambitious piece of legislation that has gotten off to a bumpy start. Regardless of your personal or political thoughts on this topic, as providers in Massachusetts, we’ll see the biggest impacts of the ACA coming in the form of expanded insurance coverage, more focus on preventive care and better home and primary care management of chronic illnesses such as heart disease and diabetes. The rollout has, unfortunately, been negatively affected by the government shutdown which has created all sorts of problems for many of us. At the state level, the focus has been on health care cost-containment and Chapter 224, a law implemented last year to rein in increases. I was summoned to testify on behalf of UMass Memorial Health Care at the state’s Health Policy Commission on Tuesday about what we are doing to reduce the cost of health care in Massachusetts. The best part of my week was seeing patients in the ER at the Medical Center – University Campus on Monday, visiting with caregivers and patients at Wing Memorial on Monday afternoon, visiting with the caregivers at Montachusett Primary care practice in Leominster on Tuesday and meeting the team at Chadwick Square Internal Medicine on Friday. Getting out to our hospitals and primary care practices always makes me forget about the hubbub in Boston and Washington and refocuses me what is most important, making UMass Memorial Health Care the best place possible for our people and our patients. Even more locally, you all continue to impress me with all of the fine work you are doing as everyday innovators. The ideas are flowing and the improvements are coming, little by little, one at a time. 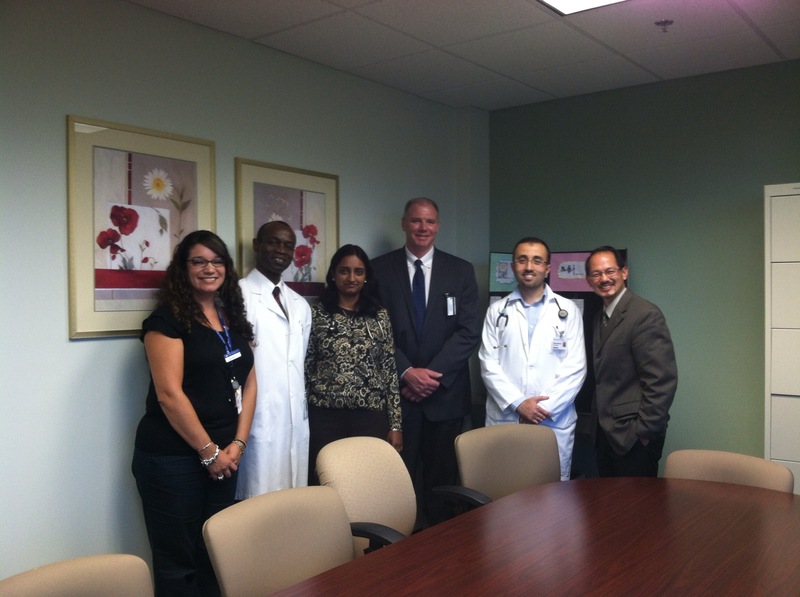 I recently sat in on an idea board huddle with the pharmacy folks at the Medical Center’s University Campus. It heartens me to see the focus and spirit of innovation at these meetings. Here’s a video that captures their approach. Our system’s leadership team also continues to be strengthened. I am thrilled to welcome Steven Roach to UMass Memorial Health Care as president and CEO of Marlborough Hospital in early November.You can read about Steve in this announcement. Be sure to drop me a note or post a comment to this blog to let me know how things are going. Dr. Dickson, I agree with Mr. Smith; everyone who takes a moment to read your entries will appreciate the opportunity to get your opinions and express their own. I am curious how these new laws will imapct support staff in physician offices. As a part of the nursing support team I am quite concerned for the long-term stability of our office support staff(s). Could we potentially face restructuring of employees and their roles in the offices in effort to meet the demands that come with trying to curtail costs? Please keep this up! I can appreciate the time it takes, but I think it’s a great way to communicate where we’re heading and also to acknowledge our successes!